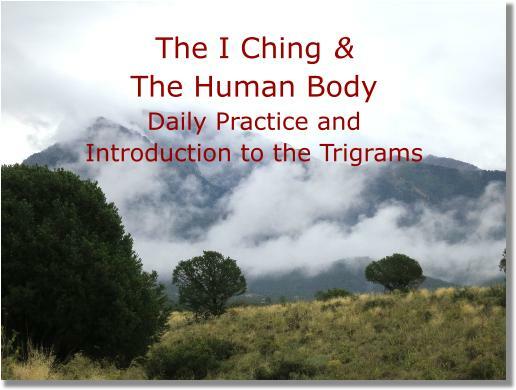 Class One: Introduction to daily practice and THE TRIGRAMS Please study this page in conjunction with the audio lecture. Here is an abstract of the first part of the audio lecture; the second part of the lecture discusses the trigrams, as illustrated below. 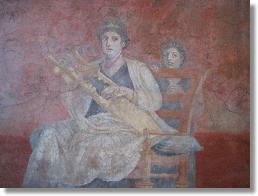 Daily use as personal, sacramental, contemplative time. Hexagrams not to "correct" but to open us. A seam for the dralas to enter. I Ching as serious play, the spirit of inquiry. The I Ching as not strictly "Chinese," but a primordial, archetypal map that emerges from human consciousness. Daily use is the ideal way to become fluent. Hexagram(s) of the day may: relate to a very thought we are having, to an emotional conflict or confusion; to the "spirit" of the day, to yesterday. Understanding is always a process of clarifying confusion. A science and an art; knowledge and insight or intuition. 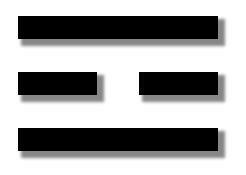 The building blocks of meaning are the two trigrams and how they interrelate. 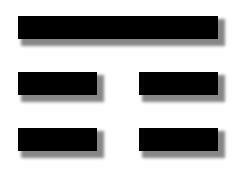 The trigrams represent elements; the I Ching is not a mental system but an elemental one. 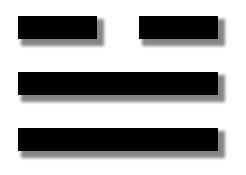 The I Ching is a teacher to me, a revered guide, even a "hobby" - something I simply love to study, consult and share with others. I first opened the I Ching in 1970, when still in high school, intrigued and mystified by what it had to say. 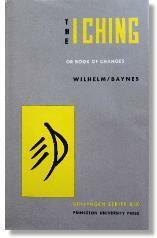 I began to actively engage with the I Ching in 1990, soon after I met Howard Bad Hand, an indispensable teacher who opened the book for me, removed the mystification and made it practical. in 2001, I began consulting the I Ching every morning, a practice that became a way of life. I offer I Ching-intuitive readings for people in person, over the phone or through Skype. A reading begins with an initial conversation in which I listen to the issues in your life that form the basis of your question. From there, you "throw the coins" and I study the outcome in preparation for the full reading, typically done the following day. 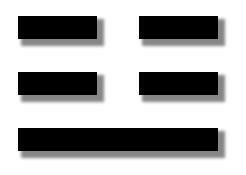 I help bring the symbolic images of the I Ching into the fabric of your question and life. Though the council I provide is founded on my experience with the I Ching, and intuitive guidance - the psychic or intangible dimension of life - it is very much a mutual conversation, a container we create together for insight to occur. Contact Bill for a reading. The I Ching is perhaps humanity's oldest book, with roots preceding the Chinese Xia Dynasty of 2200 - 1800 BCE. 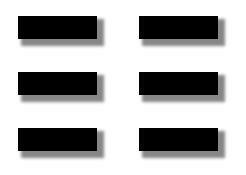 The I Ching consists of sixty-four hexagrams, symbolic images that mirror the various life-situations we find ourselves in, and offer guidance for making correct decisions. 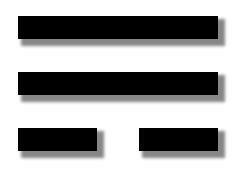 Traditionally called an oracle, the I Ching is a way of opening our life-questions to a larger system. Jung called this system synchronicity, “the peculiar interdependence” between ourselves and the events around us." This is also the world of the unconscious, of dreams, of contemplation. It is the world of spirit, the world of the dralas. This larger world is potentially always available to us, ready to support our highest aspirations. The I Ching is way of consulting this larger world, and our own heart, the very center of the crossroads of life decisions. Our heart, as a spiritual force, is "outside of time" - i.e., beyond our usual occupations of hope and fear. 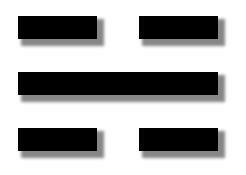 In consulting the I Ching we "receive" a given hexagram through a random method - typically tossing coins. In such a method we have no control over the outcome, only the courage to inquire. In this matrix of sincerity and surrender, synchronicity can speak and spirit can enter, voices that can resonate with the truth of our own heart, the ultimate place of guidance. I Ching, the "Book of Change" is considered the oldest of the Chinese classics, and has throughout its history commanded unsurpassed prestige and popularity. It has been considered a book of fundamental principles by philosophers, politicians, mystics, alchemists, yogins, diviners, sorcerers, and more recently, scientists and mathematicians... 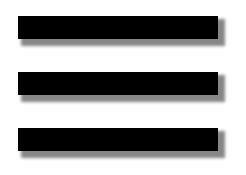 Continuing interest in the I Ching is enhanced by the fact that it has never been universally regarded as the sole property of any particular religion, cult or school of thought. - Introduction to The Taoist I Ching, translated by Thomas Cleary.